“Uncertain Futures” is a new report that reviews the background of the new and returning FCC Commissioners, making educated guesses about what lies ahead for our communications environment. Co-author Tim Hwang will be on this week’s mediageek radioshow to discuss what’s in store for important issues like network neutrality and media consolidation. Hwang is a researcher at the Berkman Center for Internet and Society and authored the report along with Erikk Hokenso, based at the University of St Andrews in St Andrews, Scotland. The mediageek radioshow airs live this Thursday, August 20 at 9 PM Central time on WNUR 89.3 FM in Evanston-Chicago, IL and online at www.wnur.org. 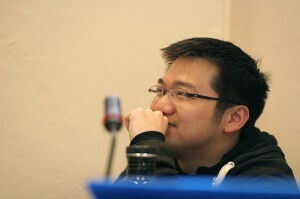 If you have questions or comments for Tim Hwang send them to me by email – paul(at)mediageek(dot)net – or by twitter. The syndicated podcast will be posted Sunday night, or you can listen to the show on any of the thirteen other affiliates listed at the radioshow site.